Nearly half of all Americans have some form of periodontal (gum) disease. Without proper daily hygiene and treatment, this aggressive disease can ultimately cause tooth loss. It also appears the effects of gum disease reach beyond the mouth, as researchers have found relationships between it and other systemic diseases. Inflammation, the body’s response to infection, is at the center of these relationships. In the case of gum disease, periodontal tissues become inflamed as the body attempts to isolate and fight the infection. If the inflammation becomes chronic, however, it will begin to damage gum tissues. Inflammation is also a major feature of diabetes, a condition in which the pancreas doesn’t produce enough insulin. Without enough of this hormone that transforms sugar into usable energy for the body, the sugar accumulates in the blood stream; as a result, the patient becomes more susceptible to an exaggerated inflammatory response when the body encounters an infection. This is especially true for periodontal infections: the resulting inflammation can be greater and harder to control in diabetic patients. 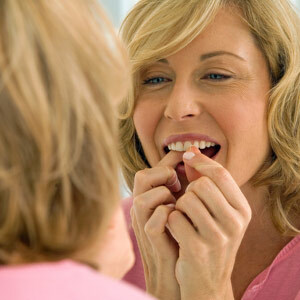 What’s more, uncontrolled gum disease may worsen their blood sugar levels. Although not as prominent as with diabetes, cardiovascular disease also seems to share a connection with gum disease. This collection of chronic conditions like high blood pressure or restricted blood vessel flow raises the risk of heart attack or stroke. Like gum disease, inflammation is a major component in the progression of cardiovascular disease — in fact, both diseases leave similar chemical “markers” in the blood that indicate their early development. Ongoing research has also produced some promising treatment findings for both gum disease and inflammatory diseases, which also include osteoporosis, respiratory disease and rheumatoid arthritis. We’re now finding in many cases that treating one side of the disease connection can have positive effects on the other side. For example, diabetics who receive professional treatment for gum disease may see better blood sugar control. With this in mind, the best approach is to practice effective, daily oral hygiene to reduce the risk of gum disease, coupled with regular office cleanings and checkups. Not only will this help you maintain optimum oral health, it may also contribute to better management of other conditions you may have.